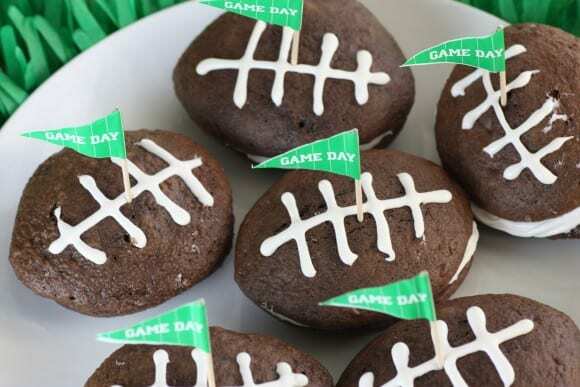 Want to see my go-dessert for the Super Bowl? 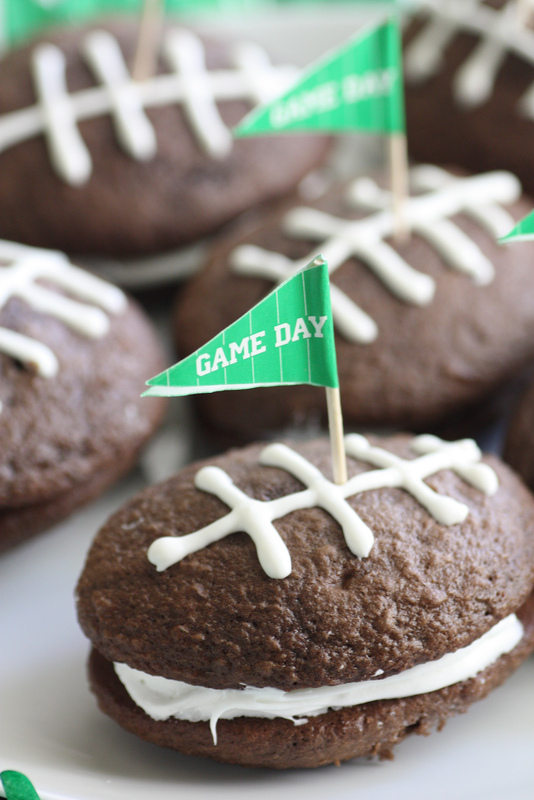 It's my easy Game Day Football Whoopie Pies! I call this a "recipe hack," because there really is no recipe! 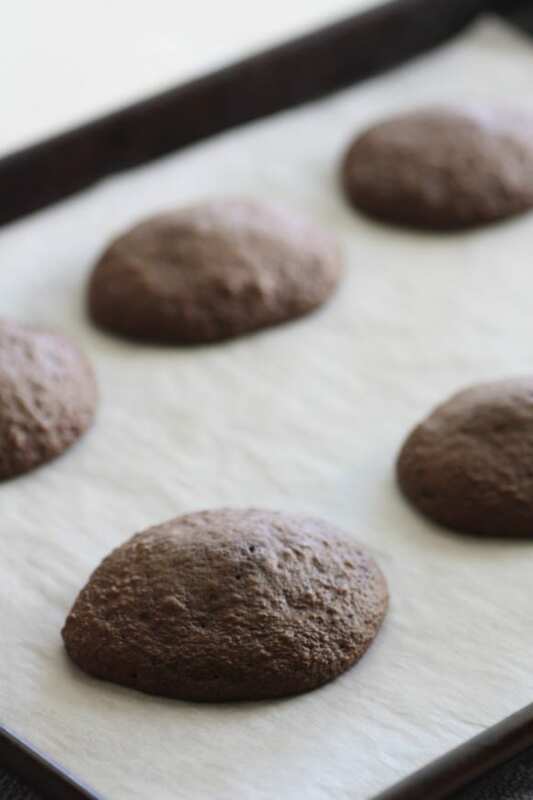 I used boxed chocolate cake mix batter, spread out ovals on parchment paper (they do stick, so I recommend parchment paper). 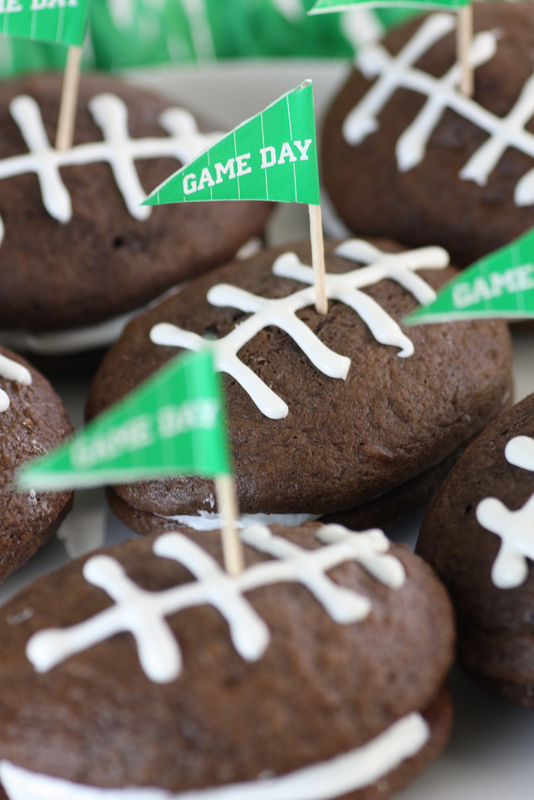 Then I baked them for 8-9 minutes. 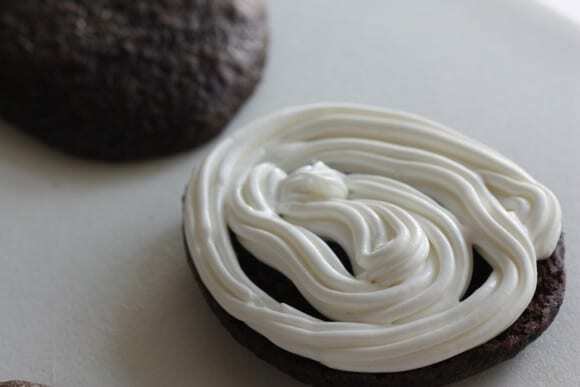 After they cool, I piped on frosting from a can. And with cookie icing, I drew on the laces. Could not be simpler!! 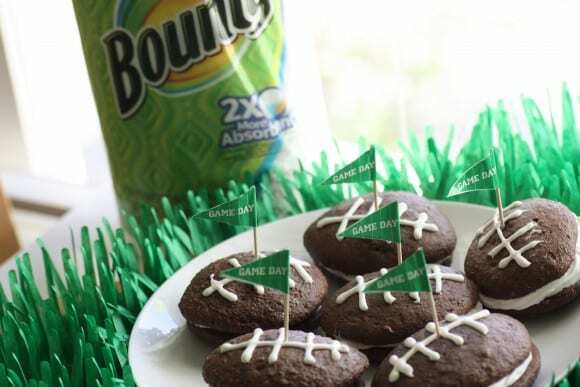 For more inspiration, check out these football parties from our site and our free football printables for decorating your upcoming party!